Hi everyone! For my last passion blog post for the semester, I thought it would be fun to take a look at some famous food scientists. There have been tons of people that have made huge impacts on the food industry, but I have selected 3 who are favorites of mine, whose names (or contributions) you may recognize. Yes, his name is Kellogg as in the cereal, so I’m sure you already have some idea as to what his major contribution was. 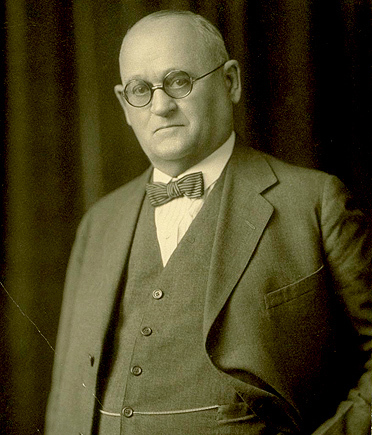 Kellogg was an industrialist in food manufacturing, and as you may have guessed, he founded the Kellogg company with his brother in 1906, and focused on producing and endorsing corn flakes as a wholesome breakfast. Since then, the company has taken off and makes countless varieties of cereal, snack bars, beverages, Eggo waffles, and crackers. Kellogg’s was one of the first food companies to put a nutrition label on their packages, as well as the first to put a toy for kids in cereal boxes. During the Great Depression, he arranged the shifts in his factory to allow as many people to work as possible, and later established the W.K. Kellogg Foundation, which helps children in need succeed in school, work and life. He donated 66 million dollars to the foundation over the course of his life, which is equivalent to 1.2 billion dollars in today’s currency. Louis Pasteur was a French microbiologist and chemist in the 1800s who made many huge advances in the world of medicine as well as food. After created the first vaccines for anthrax and rabies, he went on to develop a process for killing bacteria in food that we have been using ever since: pasteurization. Before this, there was no real method of killing bacteria in beverages, and the bacteria that was already there would rapidly grow, because it was living in a wet, sugary environment (which bacteria love). Pasteur found a way to heat beer and wine just enough to kill enough bacteria to keep it from spoiling (as quickly, anyway). We have refined his method since then, but still use his basic principle to keep beverages like milk and juice from going bad and making people sick. Alton Brown, who you may recognize from his many appearances on the Food Network, is by far my favorite food scientist. A TV personality, cookbook author, and celebrity chef, he spread tons of information about the science behind food on his show Good Eats. Brown was disappointed in the amount of information in American cooking shows and wanted to make his own. He went to culinary school and studied a lot of science to prepare for making his own show, and then used Good Eats as a platform to education millions of viewers on the science behind the food they make at home. I will be the first to admit that I’ve probably watched every episode of this show ever made, and I’m sure it’s what got me interested in food science in the first place. Thus concludes my food science blog. I’ve had ton of fun writing it, and I hope you all had fun (or at least learned a little something) reading it. In any case, thanks for reading, and have a great end to the semester! I love Alton Brown. From my passion blog, I have a passion for food as well and even considered going to culinary school over Penn State. But I remember being about 9/10 years old and my mom would come home from work and I would be watching the cooking channel (because it was the channel I knew wouldn’t have scary commercials). He was so interesting and rely explained what makes a recipe or dish successful from the chemistry and food science perspective. He was also hilarious! Your blog has opened my eyes to so many new and exciting innovations in the realm of food science. Before reading your blog, I did not know much about food science, and I definitely didn’t know that people have been studying this since the 1800s and before. Hopefully one day I’ll be able to see some of the innovations you discussed in your blog actually on the shelves! I never thought of how much the food I eat everyday is affected by science. Thank you so much from bringing so many things regarding food science to light for all of us. I learned so much each week just by reading your blog post. Awesome job for the entire semester, it has been a pleasure! Lisa, I have loved reading your blog. Those food scientists are all really interesting. 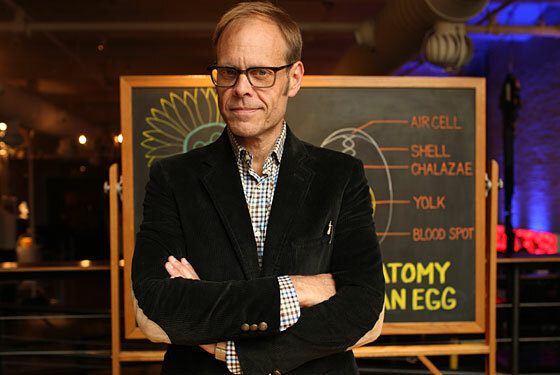 I guess I never thought of Alton Brown as a food scientist, but now that you brought him to my attention, I really want to check out his show. Penn State should try to get him to come to campus so that you can meet him! But anyway, thanks for some great blogging and I hope you have a great end to the semester as well!